I would consider bumping up to a RS 2.0 if the front lip is removable if people want to add their own lip kit. Where did you buy your car at? SF? Post some more pictures when you are able. The car looks good. Last edited by funwheeldrive; 03-11-2016 at 11:23 AM. Why wouldn't it be removable? It isn't like they made a whole new bumper and chose to leave the lip portion unpainted. Probably held on by the same clips as the other OEM lips and maybe some double sided tape. Congrats OP!!! Very nice in the outdoors. 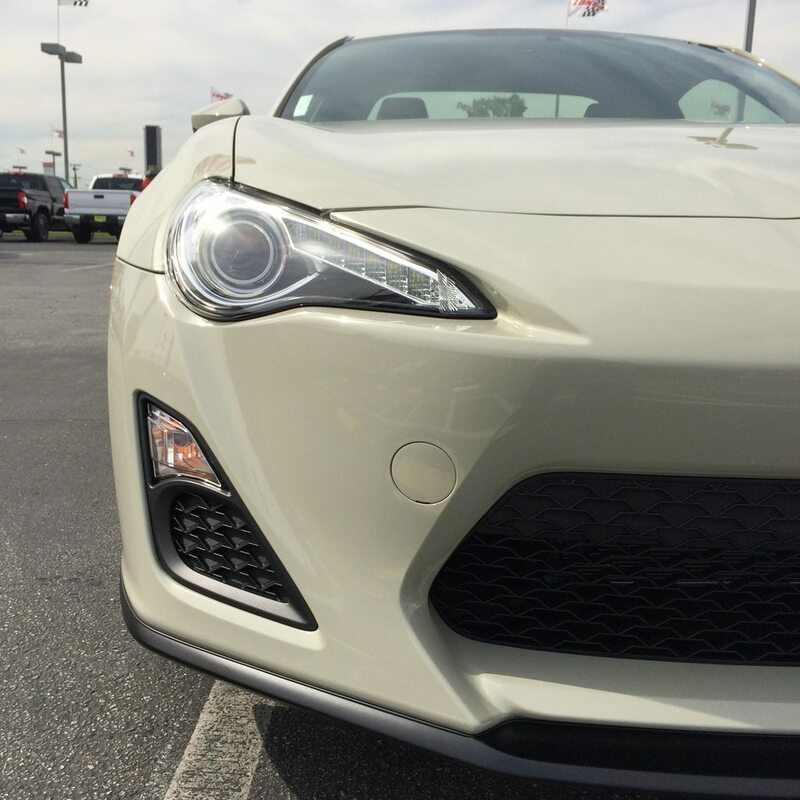 does it look like the hood/headlight and front bumper area misaligned? The day after the RS2 was announced (Oct, 30th) I went to my local dealer to get on a waiting list. They were not familiar with the car I was talking about, so I educated them about the release announcement, and had them start "a list". They took my information, added it to their CMS (so I was told), and I left. A bit over month later, after not hearing any updates, or a request for deposit, I called the dealership. The person I was dealing with was no longer employed there, and they had no record of my information in their systems. All of the salespeople or other representatives were away at a holiday party, so I left my number to be called back. After another few days, I used their online chat to ask if anyone was available for me to chat with about ordering the car, and again there was no record of me in their system, so they took my information to be called back. After another few days of not hearing anything, I used the online chat again (~December 16). I chatted with the representative for a while, explaining the entire process I had been through. He took down my information, and sent me his electronic business card, and said he would absolutely have a sales person work with me. I didn't hear back again, and, I'm a bit fuzzy on details here, but I either used the chat again, or called the dealership. January 5th, I received an email from a salesperson saying that we could chat and being moving the process forward. I called him and we spoke about the car I wanted to purchase. He was "unsure" of the colors that would be available for the RS2, and was unsure if it would be available with manual transmission. I educated him about the car specifications, gave him the list of what I wanted (no port-installed options), and he said he would contact me when he had more information with regards to allocation and release date. January 6th, while feeling unsure that this salesperson would follow up with me, I contacted a friend who has quite deep roots in the world of everything 86/AE86 and asked his opinion on the situation. He gave me contact information for a salesman at Longo, so I started that direction. I called the salesman, told him what I wanted, and he said he would put me on the list, and that I was the first person on. A couple of phone calls happened over the next couple weeks to check status. February 2nd, we chatted on the phone, and it was time to decide what went on the car. After submitting to him my final build, we were ready for the wait for the car from Japan. I was informed along the way as to the status of the car. The car arrived at the dealer on the evening of the 8th, was PDI'd on the 9th, so I booked a flight to LAX and picked up the car on the 10th. My paperwork was mostly completed between the salesman and I before I arrived, so I showed up, physically signed my agreements, and drove home. @thatchmaster sounds like they should have given you part of the commission earned from the sale of the car seeing as you basically sold it to yourself. Not too derail this thread too much--and we could continue this elsewhere.. It doesn't look too funny in person, I think the weatherstripping on the hood makes it look a bit off at some angles. That said, I certainly don't expect body-line perfection on these at this price point. If these were $35-50k (base), I'd expect a higher fit and finish. Similar to fit/finish of a GT-R, inside and out--if they were 150k, I'd expect high-end European/Japanese interior and exterior attention. The money is going into the R&D, powertrain, and amazing computers. Last edited by thatchmaster; 03-11-2016 at 06:52 PM. Reason: typing is hard.